Hey Resident Evil fans! Below you'll find our review of Capcom's first DLC pack for Resident Evil 5, "Lost in Nightmares", reviewed by our good friend Justin. I know this is out a bit late, but we had to find someone who still had the game, and more importantly, someone we trusted to put the Mashbuttons name on. After his review, you can be certain Mashbutton fully backs his review score. Enjoy! 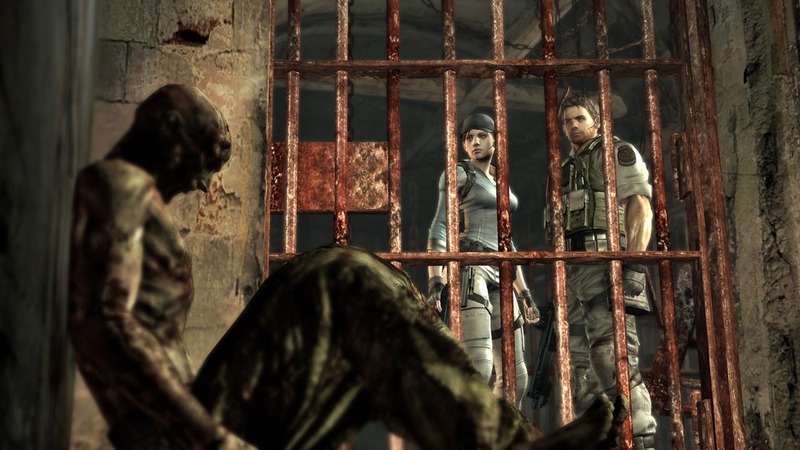 For those that played Resident Evil 5 when it was released in March of '09, Lost in Nightmares may be too little, too late. I on the other hand only recently began playing RE5 and found this "untold chapter" to come at just the right time to keep my interest and wanting to play more. 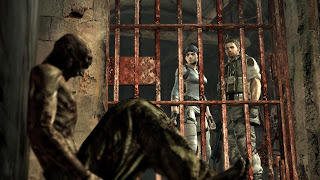 This prequel chapter to RE5 follows Chris Redfield and Jill Valentine on a mission to the founder of Umbrella, Ozwell Spencer's, mansion estate. Fans of the original will feel right at home from the opening sequence and dialogue to the final battle. There is even a method by which you can change your camera angle from 3rd person to the fixed angle of the first. If, like many, you no longer have your RE5 disc, this content alone is not enough to bring one back. However, for those that were unable to part ways with Chris and Sheva, enjoyed every replay of RE to unlock infinite ammo and Take It to the Max achievement, 400 MS is a reasonable price to revisit the world of RE. To Capcom, if you plan on using DLC to expand your stories and keep gamers interested, a year is too long to wait!